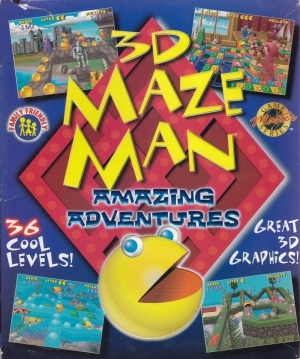 3D Maze Man - Amazing Adventures! 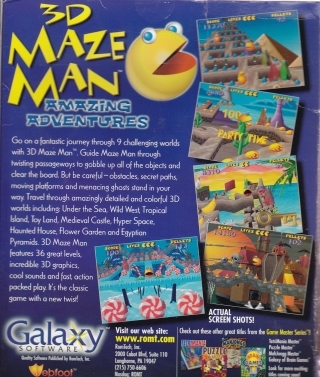 Go on a fantastic journey through 9 challenging worlds with 3D Maze Man. 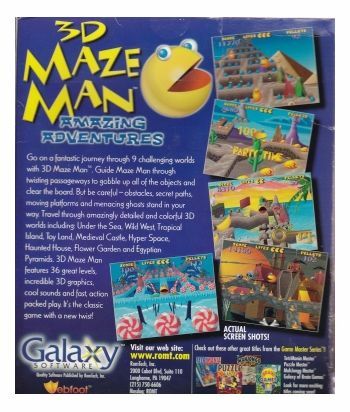 Guide Maze Man through twisting passageways to gobble up all of the objects and clear the board. But be careful - obstacles, secret paths, moving platforms and menacing ghosts stand in your way. Travel through amazingly detailed and colorful 3D worlds including: Under the Sea, Wild West, Tropical Island, Toy Land, Medieval Castle, Hyper Space, Haunted House, Flower Garden and Egyptian Pyramids. 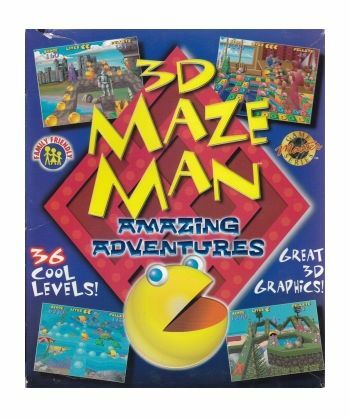 3D Maze Man features 36 great levels, incredible 3D graphics, cool sounds and fast, action packed play. It's the classic game with a new twist!